Here we've got some of the best 50th Birthday Party Invitations which you can use to celebrate your milestone birthday in style! 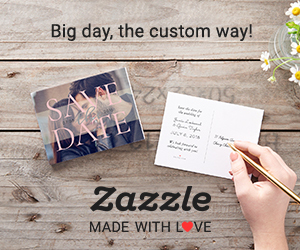 Easily personalize both sides of any of these invitation templates completely free of charge! 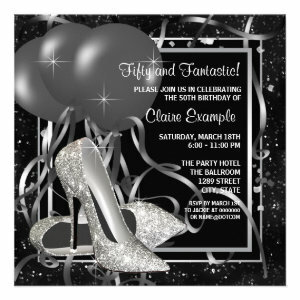 Our Elegant 50th Birthday Party Invitations offer high quality bespoke design for a fraction of the cost. Full of glitz, glamour and party fun the invitations can be personalized quickly and easily. Simply include the text you want change the font types, style design and colour, then choose from many different paper types and blends for the perfect finish. If you are planning a large birthday party then you might like to take advantage of our discount on bulk orders. With sophisticated designs which can be used for all types of party, whether a Champaign and nibbles, evening meal, large banquet, birthday ball or even a surprise birthday party thrown by your nearest and dearest, these Elegant Birthday Party Invitations aim to get your 50th celebrations off to a lovely start. With different designs to choose from making it easier to fit with existing ideas or themes. There's even some invitations you can upload your picture too, making it a bit more personal to those involved. Our Elegant 50th Birthday Party Invitations are a lovely way to invite family and friends to your party celebrations.